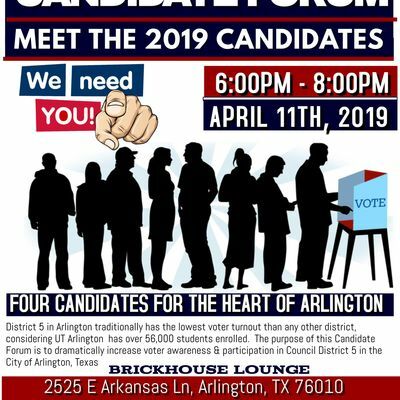 In partnership with Brickhouse Lounge, the Arlington Black Chamber of Commerce will host our first ever District 5 Candidate Forum. The event will be held on April 11th, 2019 from 6:00pm - 8:00pm at Brickhouse Lounge, located at 2525 E. Arkansas Ln, Suite #253, Arlington, TX 76010. Traditionally, District 5 in Arlington has the lowest voter turnout than any other district, considering that UT Arlington has an enrollment of more than 56,000 students. On average, less than 3,000 voters participate in local elections. 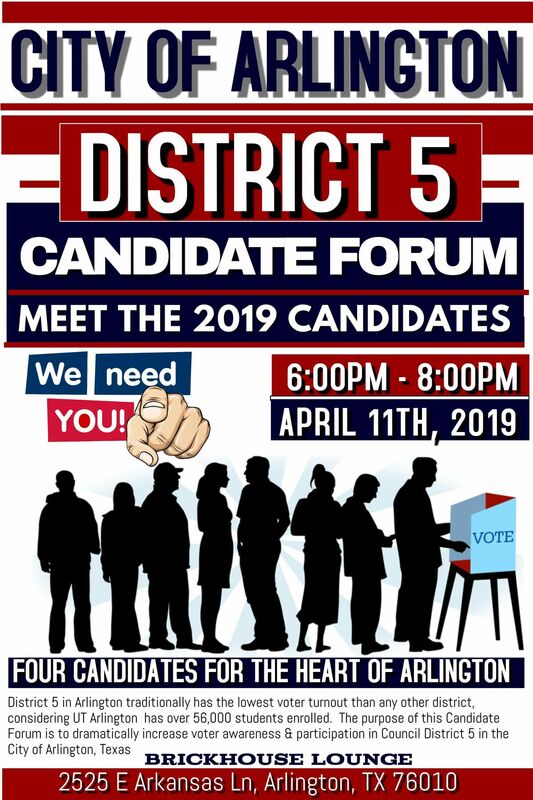 The purpose of this Candidate Forum is to dramatically increase voter awareness & participation in Council District 5 in the City of Arlington, Texas.